Perched on a cliff overlooking the Indian Ocean on Bali’s southernmost peninsula, Banyan Tree Spa Ungasan makes it nearly impossible not to feel complete and utter serenity as soon as you walk into the facility. Located on the grounds of Banyan Tree Ungasan, the Forbes Travel Guide Four-Star spa and resort boasts verdant gardens, a reflecting infinity pool overlooking the calming ocean and temple-like villas that offer one to three bedrooms for the luxury overnighters. Situated alongside the resort’s lush fauna is the spa, which blends right into the island’s natural beauty thanks to the pavilion’s Balinese architecture. The therapies blend a wide range of general Asian and Balinese-specific principles and all of the products used are natural and organic, ranging from their award-winning jasmine rice facial foaming cleansers to purity body washes infused with apple and green tea or pineapple and coconut. 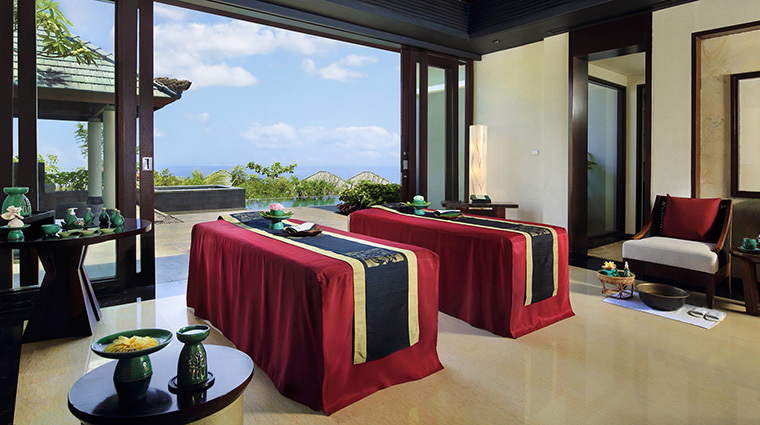 • The spa itself is located 229 feet above the sea, boasting some of the best views of the Indian Ocean. 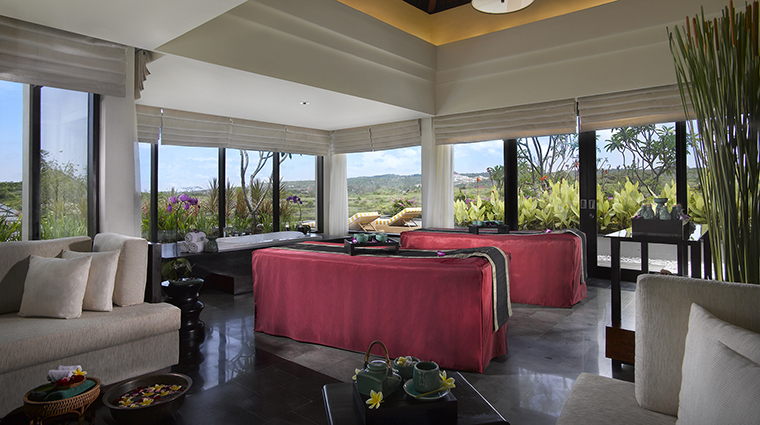 • The luxurious spa villas blend rich Balinese architecture and décor with the beauty of nature. Inside the pavilions and the main entrance, you’ll find floor-to-ceiling glass and an expansive deck to highlight the 180-degree clifftop vistas. • All of the treatments are incredibly rejuvenating, but the Banyan Signatures are the ones typically regarded as the most beloved by guests. 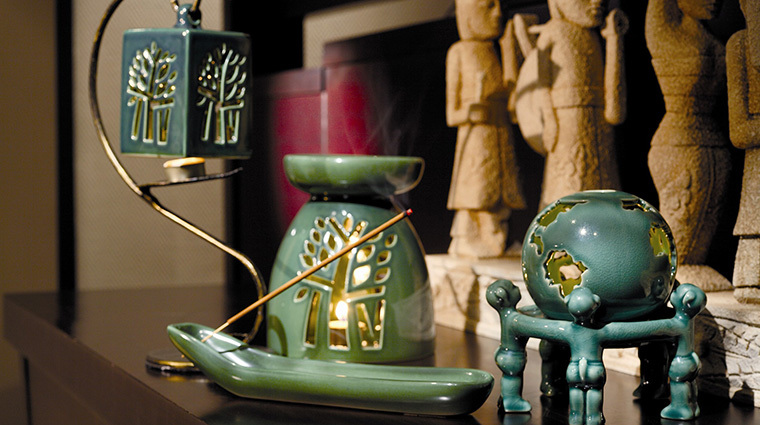 • The Banyan Tree brand, which started on the beaches of Phuket, focuses on time-tested Asian therapies. Like the other spas across the world, the Ungansa location honors the company’s passion for the tranquility of a “garden spa” — meaning the sounds, smells and sights of nature touch everything in the facility, from the lavish gardens that pave the way leading up to the Bali spa to the floral-inspired products that are 100 percent natural. • With a focus on holistic and elemental experiences, your therapists focus on three main principles when providing a service — complete physical, mental and spiritual renewal. That’s why you’ll notice a high-touch, low-tech approach, meaning you’ll receive more human contact than added technical influence. • Despite its reputation as an upscale spa, the treatments are actually very moderately priced, with body scrubs starting at around $42 to the full Balinese signature treatments (touting a scrub, facial and massage) beginning near $200. • Arguably the most popular treatment for those seeking true relaxation is the Royal Banyan, which refines pores with a coriander cucumber cleanser, relaxes tenses muscles with an herbal pouch massage, reinvigorates tired facial muscles with a jade face massage and decompresses and eases the entire body with a therapeutic herbal path. 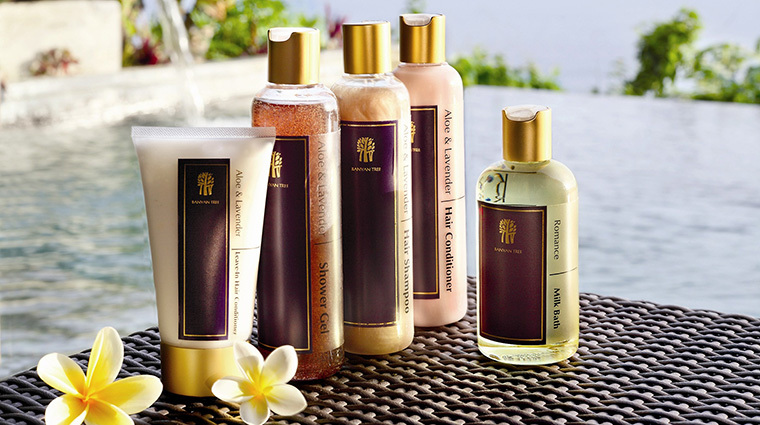 • Another Banyan Signature, the Tropical Rainmist, is the most luxurious, featuring a choice of massage, a bath soak, steam bath, rain shower, cleansing mitt scrub, honey milk nourisher or an incredibly therapeutic hair wash.
• The collection of traditional treatments range from Chinese influenced to Balinese. The Indonesian Traditions option blends both holistic Balinese therapies and massage techniques with indigenous ingredients (like jamu, a traditional medicine used in Balinese villages) and fresh milk and yogurt. With this 120-minute pampering, you get a custom Balinese massage, a Lulur Purifier, a body splash with local yogurt, a fresh milk nourisher for the entire body and a jamu bath. 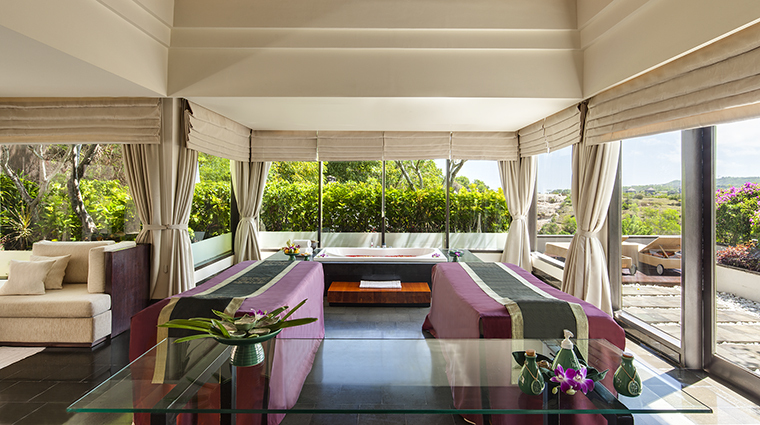 • Like many of the other Banyan spas, the nine treatment rooms here are a blend of contemporary luxury with Asian touches, from the gold-foiled lanterns hanging above to the sleek marble bathtubs, sinks and floors. • With expansive windows in treatment rooms and floor-to-ceiling looks in the relaxation areas and an outdoor space overlooking the ocean, the beauty of Bali is always just a glance away. • If you’re angling for an even closer peek at the sand and surf, you can have an outdoor massage set up on the beach as well.